Hera was very good and explained exactly how acupuncture could relieve my symptoms. 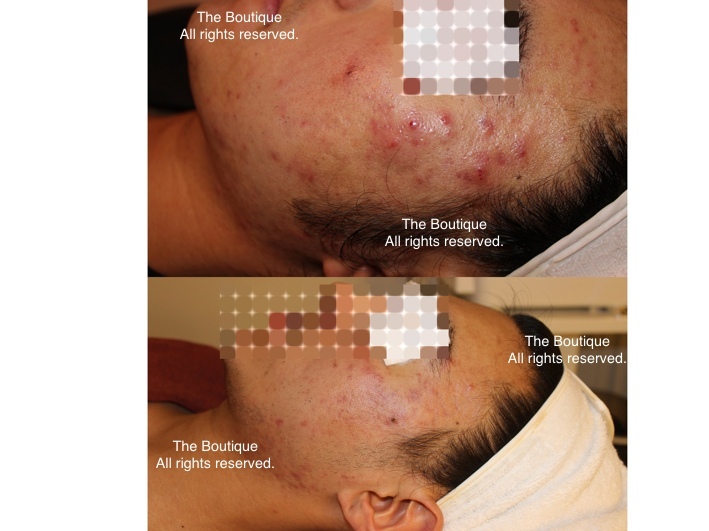 The results were amazing and the treatment very effective. Hera has been amazing and is very knowledgable about the body. In the small ammount of time I've been seeing her, she has improved my back. Very caring and makes sure I look after myself. Would recommend her to everyone. Hera is absolutely great! I have got the acupuncture treatment for my back pain. Takes time to explain how the treatment works. She contacted with me and I felt safe in her hands. I am one of Hera’s patient. My name is Ted. I suffered from insomnia for at least for 5 years. I had too much workload that made me overstressed. I could not fall asleep as usual. Sometimes, I tried hard to sleep but my brain cannot be controlled and always thinking about many details of events happened in the daytime. At the same time, my body felt very hot and made me more excited which made the situation even worse. I felt exhausted next morning. This situation happened twice a week. So I went to Hera’s clinic. She is an excellent doctor that with professional knowledge and enough patience. After she listened to my description of my situation. She gave me some guidance including the perspective of life, ways of thinking and the “I don’t know” method when I cannot fall asleep. She also asked all the details about other symptoms, such as my appetite, my urination and defecation, etc. After palpated my pulse and saw my tongue, she prescribed me the acupuncture and auriculotherapy treatment. I didn’t feel any pain when she needling on me. After 3 treatments, I felt my sleeping improved obviously and the fever symptom disappeared. The onset of insomnia reduced from twice a week to once a week or fortnight. I am so pleased that I feel full of energy after sleep. My working becomes efficient as before. There is a brief interlude, the 4th treatment I got a cold for 3 days and feel uncomfortable with symptoms of running nose, stuffy nose and sore throat, etc. I thought it will last at least another 3-4 days as we all know that the course of cold usually is one week. However, Hera immediately changes the treating plan. The moment I finished the treatment, the stuffy nose disappeared and I felt my breath so smoothly. Furthermore, all the symptoms disappeared the next morning! She healed my cold just one treatment. Thanks so much Dr Hera. I am so confident that she can cure my insomnia ultimately and I will keep receiving her treatment. I have been going to The Boutique, to see Claire for years. I highly recommend them. You'll find them top-notch, talented professionals. I've had a lot of aches and pains over the years--from sciatica, car accidents, and more and every time I leave The Boutique, I do so feeling refreshed and pain free. If you need an acupuncturist, want to try one or any of the other wonderful therapies they have on offer, give the Boutique a try. You won't be sorry! I am so happy with my Fat Cavitation results from Boutique. After just five sessions, I lost 10 centimetres from my waste and 8 centimetres from my lower abdomen. Watching what I eat and exercising never moved my measurements like this has. I am definitely going to continue and see what I can achieve with other areas too - such great value. I had 10 sessions of 3 step fat-cavitation. After just 3 sessions I was able to see visible results. I was stressed about my stubborn cellulite but they are gone after 10 session. All staff are very friendly and enjoyed discussions about my diet. I am definitely going to be a regular. Very highly recommended. I was impressed with the professional, caring, effective therapeutic approach (SUNG) A range treatment modalities are used and focus is holistic. Each acupuncture session that I received was met with 100% satisfaction, He could never do enough for me. Very pleasant environment too! I have been to the clinic over the last 2 months. Noticed a great improvement! You can expect an excellent treatment from these welcoming professionals! Tried my cavitation session with the boutique and the result was amazing, staffs are also very friendly, professional and helpful with all the information we need to know in achieving our goal. I have been extending my cavitation session because the result was amazing. The Boutique staffs were great, they asked if I was doing fine, comfortable every time a new area was done or if the intensity was too strong/light. So I felt really looked after. Final result after 7 sessions of Fat Cavitation was great! Lost approximately 9cm from upper belly in approx 6 weeks. Very happy with the result and will continue with other body parts. Excellent service. Would recommend for fat cavitation. Lost quite alot of size with 10 treatments! (Lost almost 14cms in 10 treatments). I had 5 sessions and the results are so noticable that I get loads of comments on the change of appearance. The ladies are so friendly and helpful- that is a big plus! +I am going to be a regular that a guarantee! I loved the atmosphere when I first came to the boutique, everyone were friendly. The sessions were really awesome! Kaya is really helpful and friendly too. About the session, I could see the difference by the third session, so my another two sessions were bonus for me to maintain my weight and body curve. I lost 8.5cm in 5 sessions. I feel great! Thanks to The Boutique team. Definitely I will recommend The Boutique to my friends if they are looking for a place for loosing weight or weight management! After my first session with Claire I virtually had no pain in my hips. There was no more swelling in my ankles. Claire is such a lovely therapist. I felt safe, welcomed and cared for. I recommend trying The Boutique. Lovely atmosphere. Thank you so much Claire! This session with Claire was again amazing! I have no pain in my sore knee. I feel relaxed and energised at the same time. My acupuncture with Claire was painless, the atmosphere was warm and calm. I recommend 'The Boutiue' for a pain free acupuncture session, Thank you Claire. Eunice is amazing and has been so helpful in getting my knee sorted. My knee has come right 100% because of Eunice and her treatment. I would recommend her to anybody. She is very lovely, clearly explains what is going on and motivated to sort my knee. Thank you once again Eunice! I would recommend Eunice to my friends and family especially for those who suffer from any kind of injuries whether it is old or new. She would diagnose it very carefully and use various methods to treat the injured areas in a most effective way. I am always amazed by the results after the treatment. Eunice is a kind and generous practitioner who I can always rely on when it comes down to looking after my health. When I just came I was in terrible back pain, but Eunice trying new treatment made better every time I came fro the treatment. Now after a month, my back is much much better. Everyone are pretty cool just like "PSY","Oppa Gangnam Style"!! I had almost 6 sessions and a big difference in me. I lost 2 sizes in 6 weeks. Although I was taking care of my diet as well, this was a painless treatment. I would strongly recommend to anyone. I look and feel great now. I get lots of feedback from familly and freinds. Claire is very sensitive and responsive to my health issues and I am thrilled at the benefits and results for my wellbeing and overall. Just feeling so much better! and lost 7 kg over the period of treatments. It looks great and feel great. I can say "It is very effective treatment"
It works. Feels good. Totally recommend it. Fantastic treatment, practitioner and excellent result! Claire was always very friendly and helpful, made the whole experience easy and relaxing. Would definately recommend The Boutique to others! Service has really been good and the result is totally amazing. Lost a lot of cm (9cm) for the 7 sessions. Claire and her staff had been really fantastic. No issues at all with the appointments and stuff. All in all, one happy and satisfied customer. Claire was always very friendly and helpful, made the whole experience easy and relaxing. Would definately recommend The Boutique to others. Very nice location. Claire was always very helpful and polite. Always explained in easy terms for me to understand. Results were more than I expected and I was very happy with the service. I think this treatment was great, lost nearly 7cm in 5 sessions of fat cavitation with Claire. The Boutique has a beautiful relaxing environment and the staff are very friendly. 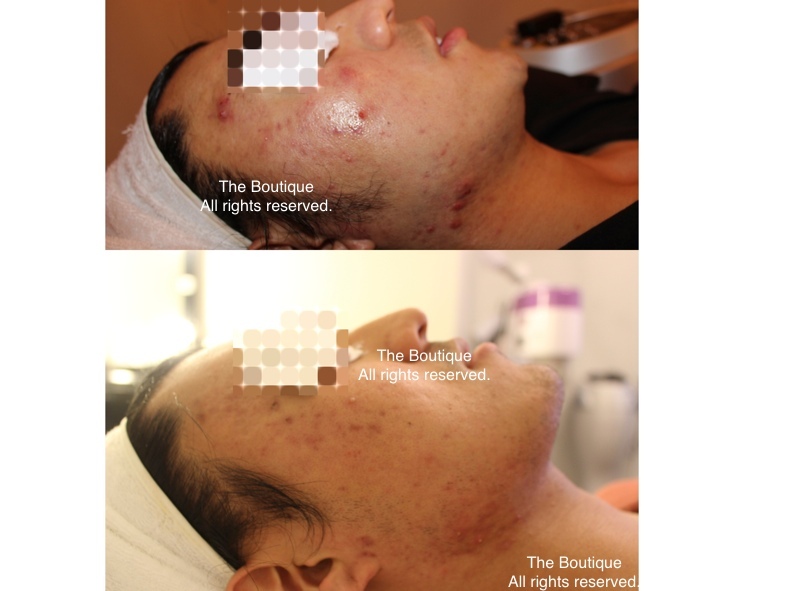 My experience with The Boutique over the 2 months of receiving the AMTS (5 sessions acne treatment) was amazing. With weekly sessions, that were fun and relaxing. I have noticed a clear reduction of spots, as well as an improvement in my overall acne appearance. I would highly recommend this treatment t those with acne prone skin. "I’d suffered for years with a sluggish digestion system which left me feeling tired and lethargic. I live a really healthy lifestyle with lots of nutritious food and regular exercise and I’d tried every possible way to fix it through diet and supplements with no success. "A year and a half ago I found Sung and started treatment with acupuncture. It has completely changed my life for the better. Not only is my digestion issue cured, but I have stayed well with no colds or flus, and have enhanced energy and better nights’ sleep. I’m eternally grateful to Sung and would recommend his treatments to anyone." I have been a patient from Sung Lee and Claire Chai at the Boutique for around 3 years now. I have received many treatments including acupuncture, cupping and therapeutic massage for various sporting and work related injuries. The experience has always been indispensable and the core of my recovery. The quality of service and therapy has been fantastic and highly professional. They are friendly, helpful attitude and depth of knowledge has always made my visits a pleasure and an education. I wholeheartedly recommend them to all. "I first visited Claire Chai for acupuncture when she was still completing her studies. I was very impressed with her thoroughness & attention to the whole body before even putting a needle in me"
"Initially I had major problems with my lower back which was successfully treated with acupuncture & massage. As I had such great results with Claire, I continued treatment with her using acupuncture to address a number of health challenges. "I would highly recommend Claire & will continue to attend the Boutique anytime I need acupuncture as well as for the occasional treat like reflexology." Sung is an amazing practitioner and I have certainly felt noticeable difference in my health since coming to The Boutique. His various forms of techniques of acupuncture has assisted in lowering my back pains and I can do a lot of things which were previously limited due to lower back pain. I would highly recommend The Boutique to everyone out there. The Boutique and the practitioners are both fantastic and they really go out of their way to help their patients. "Excellent people. Claire and Sung always try their best to treat me. That's why I always recommend my friends and family to come to The Boutique if they have any pain or health related issues. My condition is much much better now. Thank you!" I came in with a gym wrist injury. Initially I was quite skeptical about acupuncture but Sung assured me it will make a difference. In about 4 sessions my wrists were pain free and much better. I strongly suggest coming to them. Amazing treatment. It was the first time I experienced acupuncture and I was so amazed how needles can be so painless. The pain I have had in my low back for so many years has nearly gone away. I know if I had time for few more sessions with Sung and Claire, my low back pain will be fully recovered. I heard The Boutique from my parents back in Tahiti. Aimee, my mother who came to New Zealand during their holiday just like me now, came to The Boutique for her chronic stiffness and pain in her fingers and shoulder pain. They were successfully treated by acupuncture from Sung. My parents strongly recommended The Boutique for my chronic low back pain too. A massage session right after the acupuncture from Claire was so relaxing and helped with my low back pain too- so much power from female practitioner! "Simply the best acupuncture I have ever had. I will be recommending The Boutique and Sung to everyone. Thank you Sung for healing my back and sleep. You are the best!" When pain kept Rachael Barker from her passion, she turned to The Boutique to help put it right. Neck and back pain were preventing Rachael from enjoying running. She no longer felt like pushing her body to its limits. Rachael crossed the street from her job at Telecom and shared her problems with The Boutique. 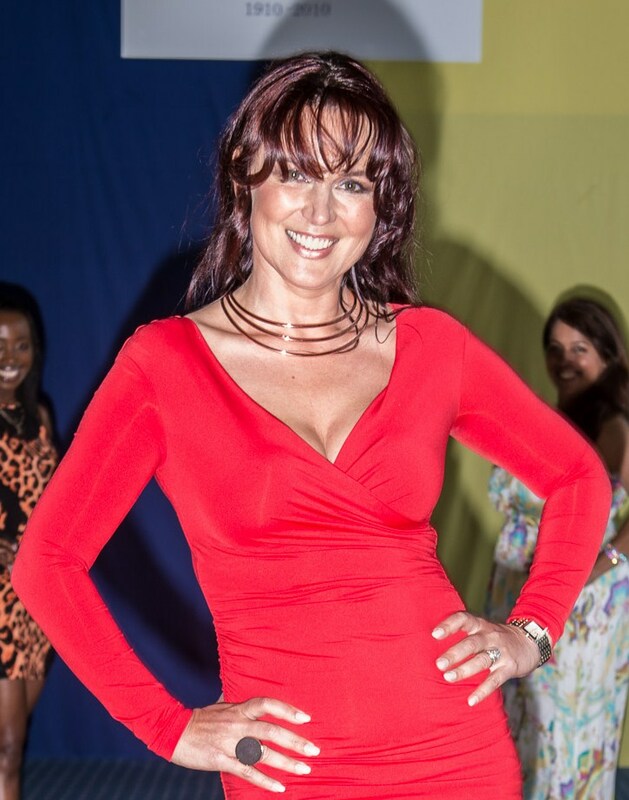 Realising she was living with a lot of pain, the Boutique established a programme for Rachael. Through acupuncture, Rachael was able to return to the sport she loves. She is also more aware about her work routine, making a conscious effort to move around more during the day – important if you’re in a desk-bound job - as well as adding some new stretches to her exercise regimen that help keep her body in the best posture. Now, The Boutique has become another important part of her life. Rachael’s story of pain is an all too common one. Most people just put up with the pain or choose to use pain killers but as Rachael will attest, there is another way. Acupuncture can help restore the body’s equilibrium and restore some of the joys of life. If Rachael’s story is like your story, contact us here at The Boutique. Let’s see if we can get you back up and running. -Friendly and knowledgeable people to deal with. -I am liking the treatment and I like the people I am dealing with. The only downside for me is that its in the CBD and I am coming from South. However they have onsite parking ...so a thumbs up from me. -I enjoyed my visit and I have already recommended it to two of my friends. -It's a busy place in the city, they only have 3 parking spaces so you may need to come early or grab your coins to park on roadside. No biggie but don't let this make you late. -Enjoyed my session and no messing about!! -Great people, put me right at ease even though I was running late and very informative during the whole process. -Great service. Parking onsite is very useful. -Great customer service, very nice set up, the decor is very nice, the lighting is perfect, the music is good and the room and bed are nice and warm. nice and relaxing experience indeed. -Your service was great, and I enjoyed the experience. -Thank you for a great experience. -Massage and acupuncture were awesome thanks! -Thank you so much for the acupuncture experience, I would just like to share that this was my first time having massage and acupuncture, I felt comfortable and relaxed and would try this again. -Thanks for very good service.